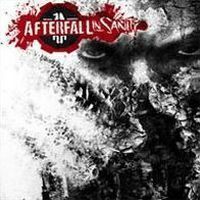 In Afterfall: InSanity our character, Albert, is a member of a team of medics, whose job is to monitor mental stability of shelter inhabitants. He specializes in the confinement syndrome, even though he is not entirely free from its symptoms himself. When all the hell unleashes, Albert will have to find answers to a crucial question: “Who is behind all this and why?, and try to filter his friends from the enemies. Not only will he face dangers lurking in the dark, but also overcome his own fears and weaknesses. Unconventional vision of Europe’s alternative history, beginning with a completely different conclusion of World War II, through contemporary times, until year 2070. Complex psychological construction of the protagonist. Emphasis on the psychological development of the character, based on his experiences throughout the game and decisions he will have to take. Psychedelic atmosphere of the post-apocalyptic world. In the world arising from the nuclear holocaust of entire Europe, demons will be awoken in the war-torn minds. Only by completing the game will the player get to know the whole truth of what really happened to Albert. Afterfall is a coherent universe, where the events unfolding in InSanity are just a piece in a much bigger puzzle. Sudden, unexpected twists and mysterious events will retain the player in front of a monitor until the very end.